The European version of the Volkswagen Passat is set to get a facelift for the 2019 model year, bringing it more in line with the new look of the new Volkswagen Arteon and maybe even bring some new updated engines and technology into play as well. It was recently spotted being put through the general testing phase, so it’s time to get the speculation mill running at full speed. 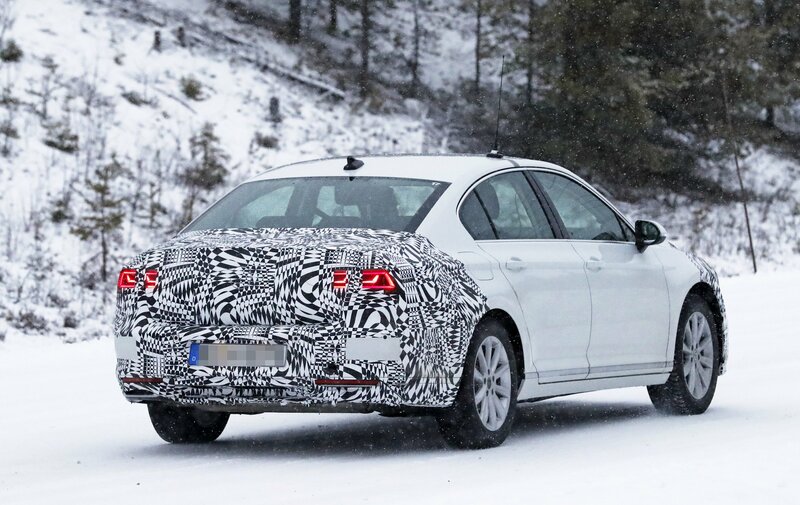 Updated 12/06/2018: The Volkswagen Passat is inching closer to production status and we’ve just updated the gallery below with the latest spy shots. Launched all the way back in 1973, the Passat is one of Volkswagen’s most iconic models, up there with the Golf and the Beetle. 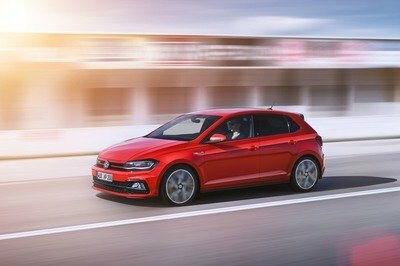 But unlike the Golf, the midsize has yet to gain a higher performance GTI version. Even the tiny Polo got the infamous red stripe, but for some reason, VW kept the Passat away from this badge. It doesn’t really seem as this would change anytime soon, but Volkswagen just introduced something similar in the United States. Developed based on extensive feedback from U.S. customers and dealers, the Passat GT is pretty much a GTI model without the massive power and the chassis upgrades. Visually, the GT is heavily based on the Golf GTI. Not only it sports the iconic red stripe on its front grille, but it also has a number of blacked-up out features that give it a more menacing look. 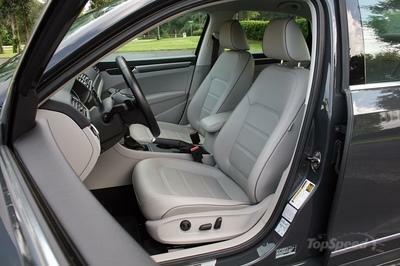 The interior was upgraded too and received quite a few extra standard features. Things aren’t as spectacular under the hood, where we can find the same VR6 engine as in the regular range-topping model, but the Passat GT benefits from a retuned suspension for a sportier ride. Based on the R-Line version, the Passat GT is a limited-run model, but Volkswagen had nothing to say about production figures. Let’s find out more about it below. 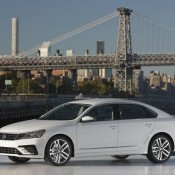 Continue reading to learn more about the Volkswagen Passat GT. While most special-edition Volkswagens barely stand out from the pack in terms of exterior features, the Passat GT has quite a few extra features to brag about. The first thing that catches the eye is the red accent stripe on the upper grille and headlamps. 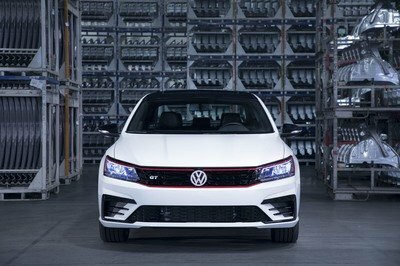 Reminiscent of the iconic Golf GTI, the stripe also adorns the lower frame of the grille. The front fascia also sports a honeycomb grille with a “GT” badge and a bumper from the R-Line model, which features black accents and sportier side intakes. 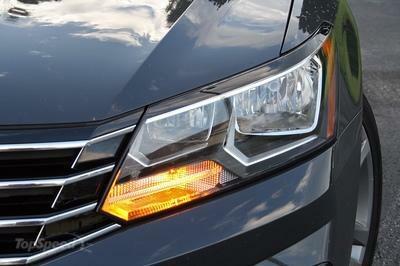 Additionally, it gets standard LED headlamps and daytime running lights. Onto the sides, there’s black window trim and black mirror caps, as well as two-tone multi-spoke wheels. The red brake calipers add a dash of color from behind black-and-silver rims. 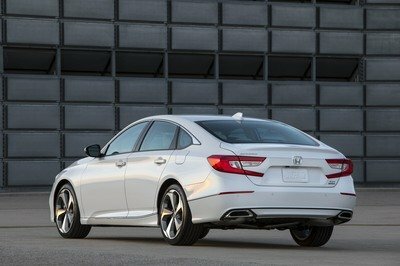 The lowered ride height gives the sedan a sportier stance. The rear section received its fair share of upgrades too, starting with the black spoiler and the smoked LED taillights. 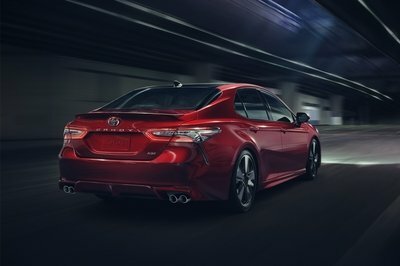 The bumper comes with slim black trim, just like the lower door sections, while the standard exhaust pipe was replaced with a dual configuration. Four exterior colors are available for this model: Pure White (pictured), Reflex Silver, Platinum Grey, and Deep Black. 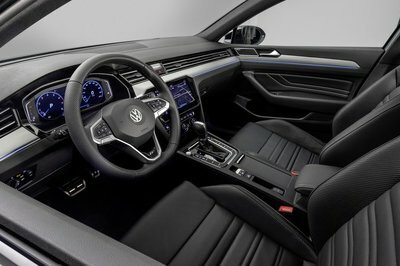 The 6.3-inch infotainment display comes standard with Bluetooth, voice control, and Volkswagen’s Car-Net App-Connect technology that offers compatible smartphone integration with Apple CarPlay, Android Auto, and MirrorLink. 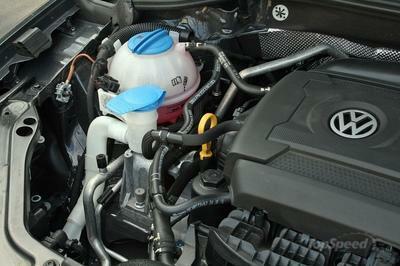 Under the hood, the Passat GT packs the company’s familiar 3.6-liter VR6 engine. 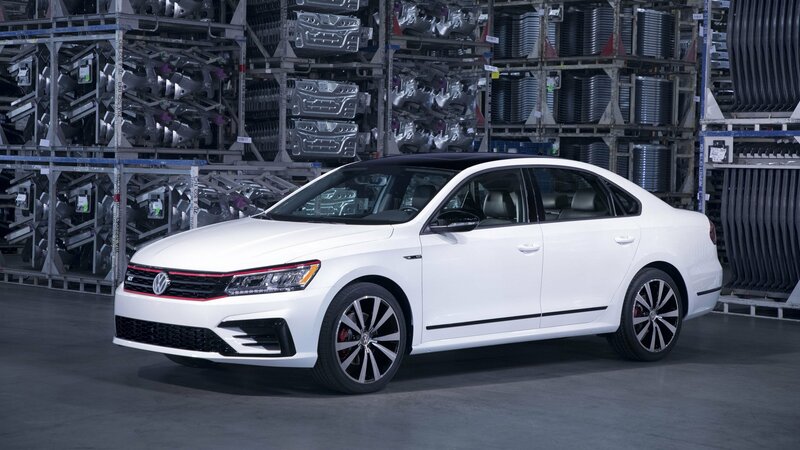 The unit cranks out a solid 280 horsepower and 258 pound-feet of torque, making it the most powerful Passat available in the United States. All that oomph travels to the wheels through a six-speed automatic transmission with Tiptronic and steering wheel-mounted paddle shifters. Despite being this powerful, the GT still returns good economy, being rated at 19 mpg city and 28 mpg highway. A sportier suspension setup provides a more dynamic experience behind the wheel. 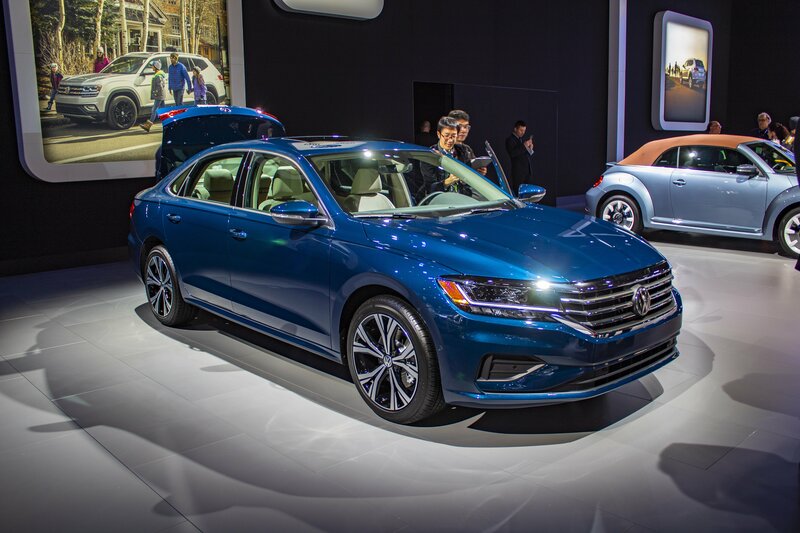 The Passat GT is expected to arrive at dealers in the second quarter of 2018 with a start price of $29,090 (not including the $850 destination fee). That’s a $6,095 premium over the base model, but at the same time, it costs $2,560 less than the range-topping Passat SEL Premium. 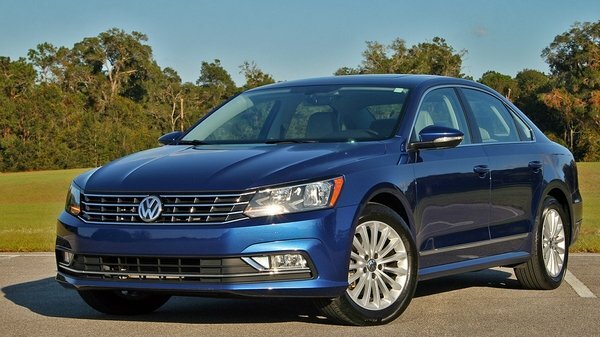 Read our full review on the 2017 Volkswagen Passat. Read our full driven review on the 2017 Volkswagen Passat R-Line. A 2017 Volkswagen Passat R-Line finds itself in my driveway this week. This mid-size family hauler offers tons of interior room for four people, or five in a pinch. 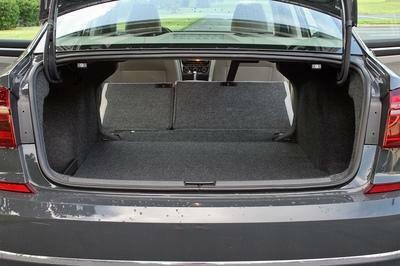 The trunk is massive, too, holding 15.9 cubic feet of cargo. 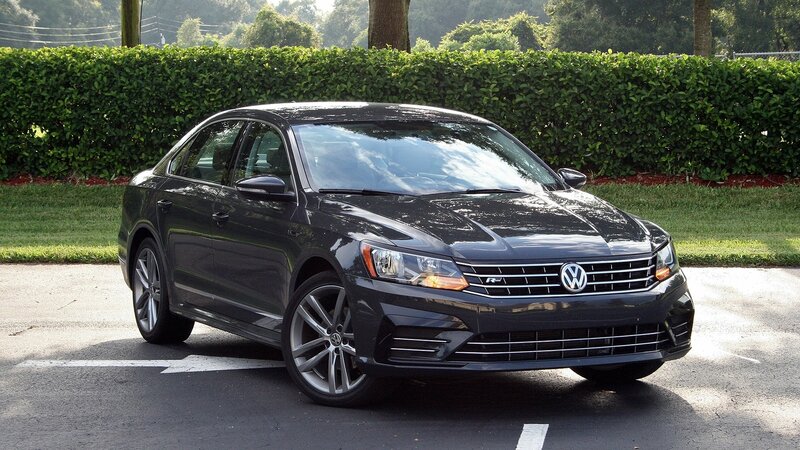 Mix that with the handsomely minimalistic exterior, an as-tested price around $24,000, and 34 mpg on the highway from its 1.8-liter turbo-four, and the VW Passat makes a strong case for itself. I even sang high praises for the upper-trimmed Passat I drove at its launch event in Vermont and the last time a Passat spent time at my house. But somehow, this go-round has me falling out of love. 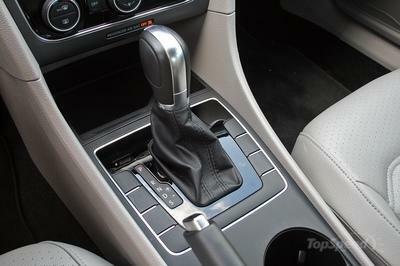 It mostly centers on the Passat’s ergonomics behind the wheel and a brake feel that’s less than ideal. Hoping in the driver’s seat for the first time in my tester quickly revealed the negatives. First, the tilting and telescoping steering column doesn’t extend far enough out. Adjusting the seat to where my feet and legs are properly positions on the pedals leaves my arms extended to reach the wheel. That means I have to scoot the seat closer to the dash, which decreases my leg room and moves the center armrest further away from my elbow. With a dress shirt on, my arm constantly slides off the armrests tapered front edge. And no, the armrest doesn’t extend forward. This basically leaves me in a less than comfortable seating position without a center armrest and reaching for the steering wheel like I’m too young to drive. Adding to my frustration, the Passat’s brakes are annoyingly sensitive when coming to a stop. At highway speeds, it’s fine. Smoothly depressing the pedal results in a decent initial feel and stopping force, say when adjusting to traffic speeds. Trying to smoothly decrease braking pressure below 20 mph, however, is met with an inconsistent braking force and within roughly a half-inch of pedal travel. It’s near impossible to accomplish a smooth stop. Being stuck in stop and go traffic only made my frustration grow. While the 2017 Volkswagen Passat R-Line does have its annoying qualities, it still represents a good value stuffed in a classy wrapper. Of course, I’ll have more to say about the Passat in my full driven review coming soon. 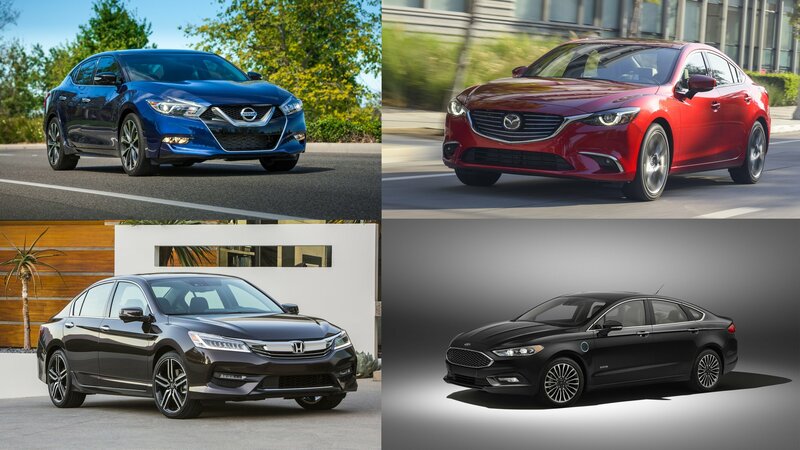 Family sedans might not be the hottest thing on the market, having given that spot to crossovers and SUVs, but the humble four-door is certainly not down and out. 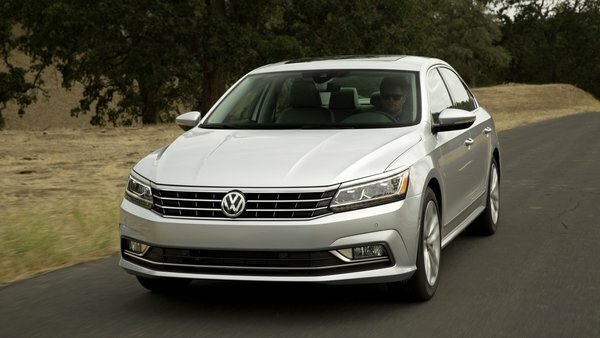 Volkswagen set out to capture more of this market with the revised 2016 Passat. It wears an updated face, has a new rear end, and even sees some updated bits on the dashboard. Volkswagen even says it redesigned the 2016 Passat to appeal towards American buyers who want muscular lines and upscale interiors. 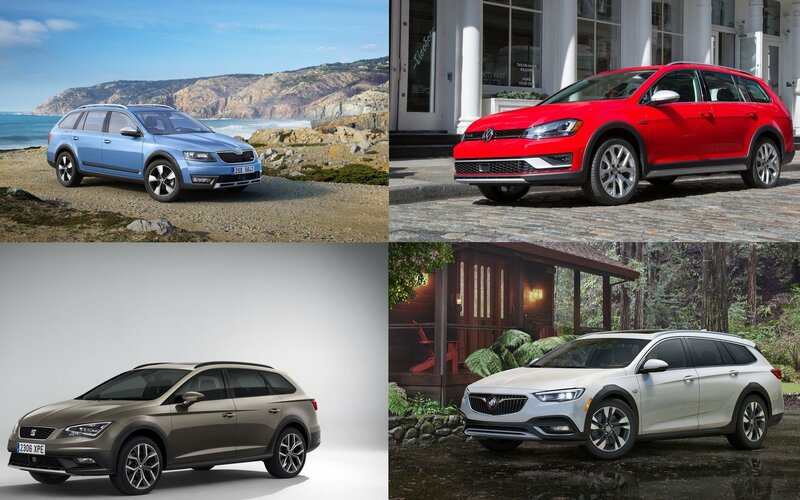 In reality, you’d have to be a Volkswagen enthusiast to spot the differences without a side-by-side comparison photo (which we have in the Exterior section below.) 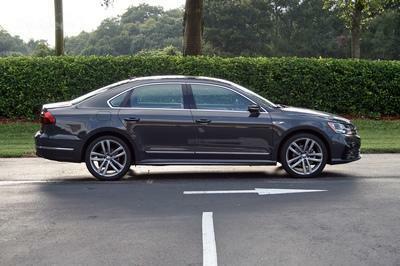 Nevertheless, the changes are apparent and the Passat feels more mature and less bulbous for it. The changes inside are equally minimal but no less important. A slight change in the dashboard’s shape and trim piece are all that’s new for 2016. 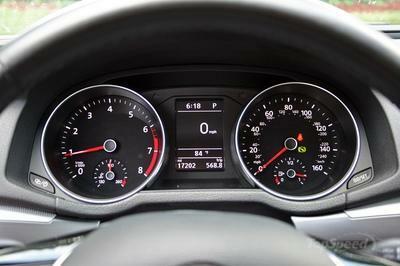 However, the modest update gives the dash a more angular appearance, which mirrors the Passat’s fresh face. To see how these changes impacted the Passat, I spent a week driving a 2016 model like I would if I owned it. Trips to the grocery store, the Lacrosse field, preschool, and even date night at the movie theater were all taken. My four-year-old’s car seat was buckled in the back seat and the trunk was filled with everyday items. This is a departure from [my last experience with the 2016 Passat. Volkswagen had flown me to Vermont in 2015 to experience the car when it first launched, so I knew what to expect. This time the car was on my home turf in Central Florida. So how’d it do? Keep reading to find out. 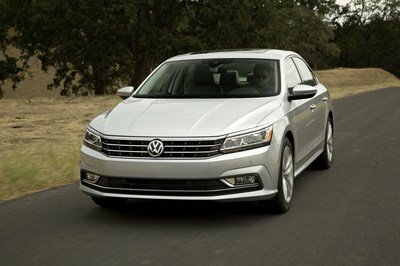 Updated 10/19/2015: Volkswahen announced full pricing details on the 2016 Passat which will be put on sale later this fall. 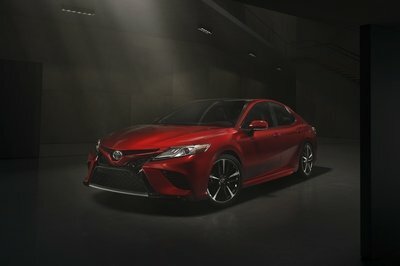 Prices will range from $22,440 for the base version and up to $36,835 for the V6 SEL Premium one. The model will be produced at the company’s factory in Chattanooga, Tennessee. 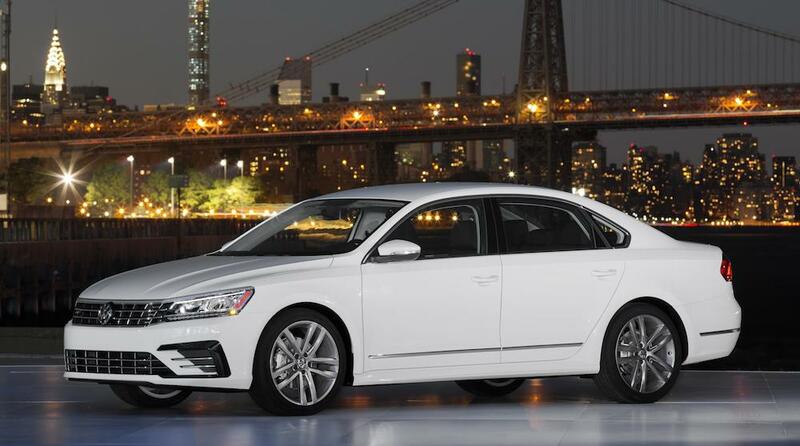 Volkswagen announced the launch of a new face-lifted version of the Passat sedan for the 2016 in America. New front and rear design, updated interior details, the addition of R-Line trim, and upgraded equipment are among that main highlights of the 2016 VW Passat. 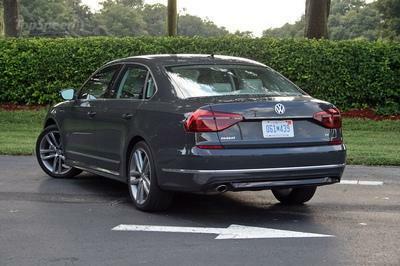 Design-wise, the facelift operation on 2016 VW Passat has given it a new hood, front fenders, grille, front and rear bumpers, trunk lid and available LED headlights and taillights. It is still not what you call terribly exciting, but it doesn’t look as dead as before, either. Inside the cabin you count on seeing updated instrument panel and center stack for a more premium feel. 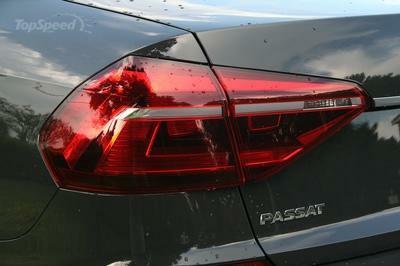 It is in terms of equipment where the new Passat really shines. The car comes as standard with MIB II infotainment system includes USB connectivity, and can be specified with VW Car-Net App-Connect supports smartphone integration with Apple CarPlay, Android Auto and MirrorLink. It also features a full host of driving aid systems. 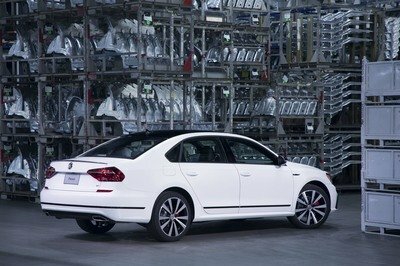 2016 VW Passat will also get for the first time the coveted R-Line trim level in America, including unique rocker panels, a stylized front bumper with contrasting black accents, a modified rear diffuser, and 19” anthracite Salvador aluminum-alloy wheels shod with 235/40 ZR rated tires. The latest Passat will hit the U.S. showrooms with three powertrains, including a 1.8-liter TSI four cylinder; a 2.0-liter TDI diesel; and a 3.6-liter VR6 with 280 horsepower. Prices start from $22,440. 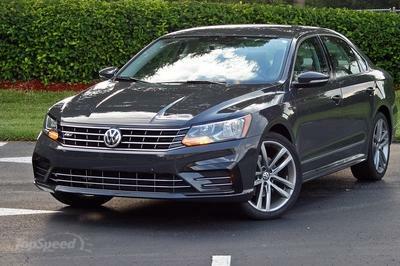 The post Official: 2016 VW Passat Facelift appeared first on Motorward. After a five-year break from drifting, Tanner Foust will return to the sport that jumpstarted his career, making his Formula D homecoming behind the wheel of this 2015 Passat. With a competition debut this weekend at the Long Beach Grand Prix, the four-door grocery-getter is extensively modified and purpose-built for sideways combat, including a conversion to RWD and a 900-horsepower V-8 transplant. The Passat, which Foust says was a similar build to his previous Scion drifter, is the latest from Tanner Foust Racing, also responsible for the RAUH-Welt Begriff Volkswagen Beetle that debuted at SEMA last year. Continue reading to learn more about the Volkswagen Passat Rockstar Energy Drink / Nitto Tire. Volkswagen Passat Rockstar Energy Drink / Nitto Tire originally appeared on topspeed.com on Monday, 13 April 2015 11:00 EST. The last time Volkswagen attempted to sell a car larger than the Passat in the U.S., things didn’t go so well. Before it was axed on our shores after the 2006 model year, the Phaeton sold only 2,253 units. Now, according to the U.K.’s Car Magazine, Volkswagen is brainstorming a new model aimed at the growing large sedan markets in the U.S. and China. 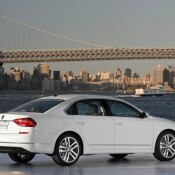 It will slot in between the Passat and Phaeton, which is still sold in several markets and is due to be replaced soon. The new car will could be built on either Volkswagen’s modular MQB architecture or possibly Audi’s MLB architecture. 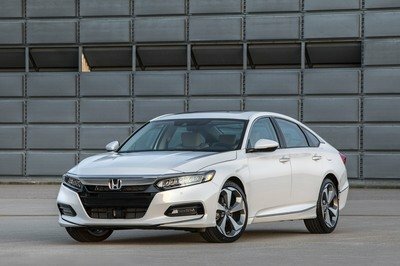 It will have a more sleek and sporty look than either the Passat or Phaeton, with power and components to match, and will probably be available as a sedan or wagon. 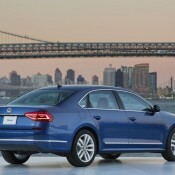 Continue reading to learn more about the Volkswagen’s future Super-Passat. 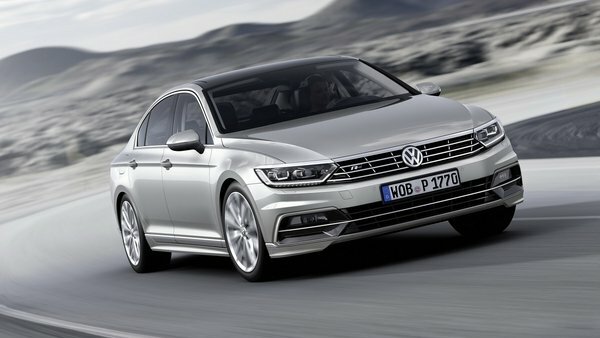 Volkswagen Plans Super-Passat For 2017 originally appeared on topspeed.com on Thursday, 12 March 2015 14:00 EST. The recent success of the Volkswagen Passat has a lot to do with its North American production, which allowed the sedan to become more competitive in price while also receiving a region-specific design that best caters to buyers. 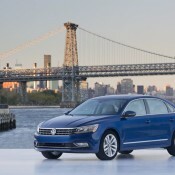 By moving vehicle assembly to Chattanooga, TN, VW was able to lower the price of the 2012 Passat by thousands of dollars over the outgoing 2010 model, and VW has even more value-laden plans in store for the 2015 model year. 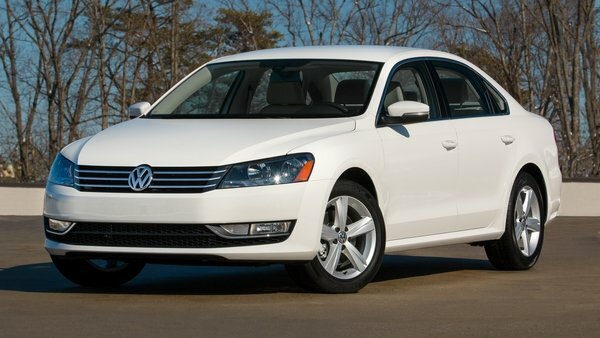 Unlike its name suggests, the 2015 Volkswagen Passat Limited Edition is not actually a limited-production model. Instead, it simultaneously replaces both the Wolfsburg Edition and SE trims by bundling together a bunch of the Passat’s popular equipment, and it does so with a much lower starting price. The Passat S is still positioned below the Limited Edition as the entry-level trim level on the Passat 1.8T, while the SEL Premium continues to be the top trim for the Passat across the full range (1.8T, TDI and V-6). 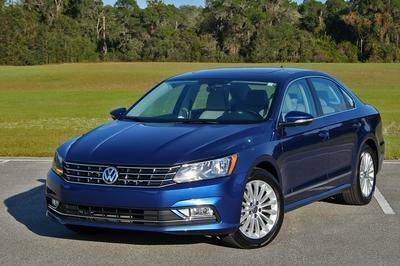 Continue reading to learn more about the 2015 Volkswagen Passat Limited Edition. 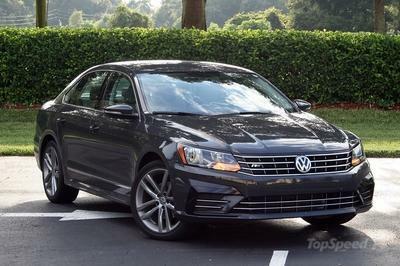 Volkswagen Passat Limited Edition originally appeared on topspeed.com on Wednesday, 11 March 2015 10:00 EST.